Owing to our vast industrial experience in this domain, we are able to offer excellent quality Analytical Transmitter & Sensor. The offered sensor is designed for outside use where dust and moisture may be present. It is ideal for light industries and easily integrates into loop powdered monitoring and control system. 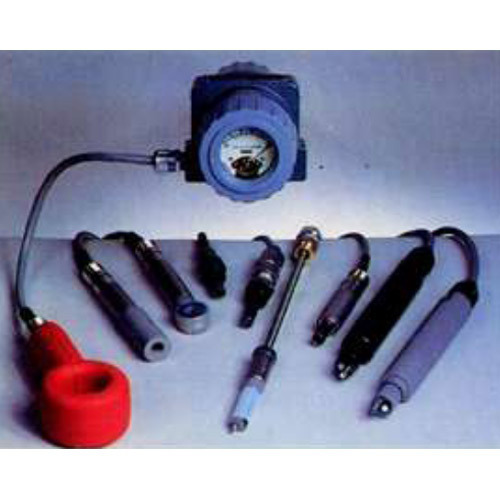 This sensor is advantageous in providing simple, correct and consistence calibration in short time. Clients can avail the offered sensor from us in various specifications as per their requisites. Set up in the year 2005, at Mumbai, (Maharashtra, India), we “Bharati Instrumentation (P) Limited” are known as the prominent Manufacturer, Supplier and Distributor of Pneumatic Process Control Instruments, Electronic Rack Panel & Control Room, Indicator & Controller, Pressure & Temperature. These Electronic Machines includes machines such as Single Station Indicator, Totalizer, Microprocessor A & M Bias Station, Microprocessor Based Manual Loader, Alarm Unit, Conventional Temperature & Pressure Recorder, Differential Pressure Transmitter, Pneumatic Power Cylinder, Power Cylinder, Electronic Chromatograph, etc. To ensure that our offered products area in-line with established quality standards of the business, we have a tendency to manufacture these by creating use of the high grade material sourced from the trustworthy vendors. Further, when the completion of the producing method, we have a tendency to check these merchandise on varied stages by using latest technology thus guarantee their longer service life, less maintenance rust & wear resistance, precise style and bother free performance. Moreover, we provide these electronic products to our reputable purchasers in varied bespoke choices at reasonable costs.